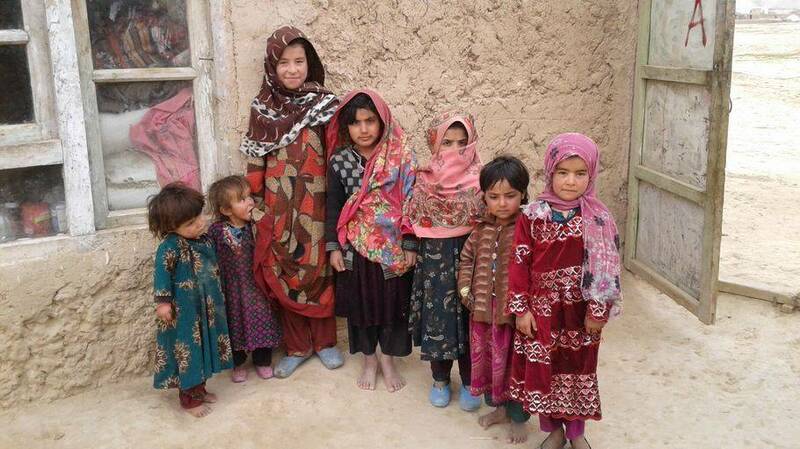 85% of Afghanistan's population lives a minimal subsistence life in desolate rural areas. There is no gas, no electricity and no running water. Infant mortality is the second highest in the world. One in four children dies before their fifth birthday, primarily because of diarrhea and acute respiratory infection. Annually more than 85,000 children under the age of five die from diarrhea alone. The cause is almost always a lack of clean, safe drinking water. Afghanistan also has the highest maternal mortality rate in the world; this is the number of women who die in pregnancy, labor and after childbirth. Fifty-four percent of girls under 18 are married. In rural areas women give birth at home 90% of the time, and only 15% of births are attended by a health worker. JDA’s WASH initiative links and supports each component of JDA’s vision and incorporates the belief that women and children are key building blocks in Afghanistan’s development. JDA’s trainers are local Afghan female educators who themselves are from villages and understand the positions of those whom they are training and educating. Sessions are home-based and centered on pictures and skits. These experiential lessons are ideally tailored, as 93% of Afghan women are illiterate or have minimal formal schooling. Since 2009, the WASH program has brought lasting results and positive behavior change in hygiene and sanitation practices and improvement of water quality with new wells and hand pumps and bio sand filters. Bio sand filters are easy to construct and can be made with inexpensive materials readily available in Afghanistan. These are an effective, affordable way to sustain access to sufficient quantities of safe drinking water. To date JDA has worked with 25 communities with 68,000 beneficiaries gaining access to safe water as a result of the repair of hand pumps and the drilling of fifteen new wells. One thousand women were trained in hygiene education. Ninety bio sand filters have been locally produced and are gradually being purchased and used in the ten communities. Local women have testified that since installing the bio sand filters in their homes their children have not suffered any more bouts of diarrhea. In Afghanistan, home birth with unskilled attendants in the norm and newborn and mother mortality rates are high. Afghanistan has one of the highest infant and maternal mortality rates in the world. Over 12% of Afghan babies will die before they reach their first birthday. BLiSS is a health education program that trains women in basic life-saving skills related to pregnancy, birth and newborn care. The 17-lesson course is taught along with hands-on health education training using life-sized dolls. The training gives women the knowledge and confidence to intervene in potentially life-threatening circumstances related to pregnancy and birth when there is no access to a trained health worker or hospital. BLiSS also teaches women good lifetime health practices and family planning strategies. JDA started its BLiSS community education program in 2013 and since then has directly benefited more than 1,300 women. "My daughter delivered twins in her third pregnancy but her babies died on their seventh month. The doctor said the babies got an infection from birth. Recently she became pregnant with twins again and delivered them through cesarean section because of anemia. The babies were early so they had to stay for 20 days in the hospital and the doctors told us they need blood transfusion because they are anemic. I have been coming to this BLiSS course after the hospital because I think this information is good and necessary for everyone to know."